Sleep is essential for our health and well-being. Along with a healthy diet and exercise, sleep is the third leg of the stool of a healthy lifestyle. There are 3 main factors that control sleep: Sleep Drive, Biological Clock, and Physical and Emotional States. Paying attention to all 3 of these factors can lead to improved sleep and health. The longer we are awake, the more sleep drive we build up and the easier it is to both fall asleep and stay asleep. It is believed that adenosine, a by-product of energy metabolism, is responsible for sleep drive. As our brains consume energy during the day, adenosine accumulates and makes us feel sleepy. Staying active and engaged during the day is the best way to build up sleep drive. In fact some say the secret to a good night’s sleep is a good day. Regular physical exercise is one of the best ways to enhance sleep drive. As physical exercise may be stimulating, it is best to avoid exercise in the 2-3 hours before your desired sleep time. Be certain to check with your provider regarding the types of exercise that are best for you. Naps may be thought of as “sleep snacks” that partially satisfy sleep drive and thus interfere with our appetite for a full night’s sleep. If you must nap, it is best to nap as early in the day as possible and limit the duration of your nap to 30-45 minutes. Excessive daytime sleepiness may be a sign of a sleep disorder and should be discussed with your provider. Caffeine directly diminishes sleep drive by interfering with adenosine. Consuming caffeine later in the day may interfere with one’s ability to both fall asleep and/or stay asleep. Generally speaking, if one has difficulties falling or staying asleep, it is best to avoid caffeine after 12-2pm. Be aware that chocolate, energy drinks, many sodas and decaffeinated teas and coffee all contain caffeine. Herbal teas are caffeine free. The biological clock is a collection of cells in the brain that is responsible for the timing of when sleep is most likely to occur. Like any clock, the biological clock needs to be set and maintained. 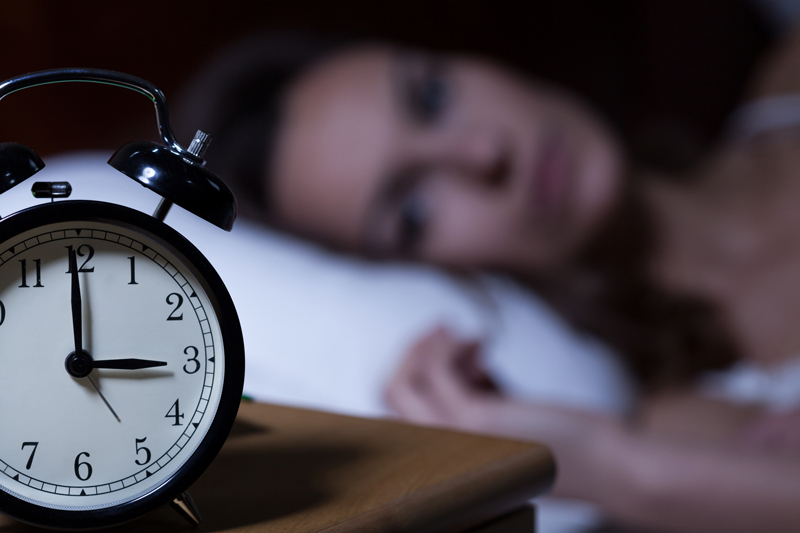 Melatonin, a naturally occurring hormone, is involved in keeping our clocks set. Melatonin is released in response to darkness and suppressed in response to light. As much as possible, keeping the same wake up time and sleep time, seven days/week, helps keep our biological clock running smoothly. Exposure to early morning light and avoidance of light in the late evening helps in this process. If you are having difficulty falling asleep, it is especially important to avoid screen time (television, smart phones, computers, reading devices) in the few hours before desired sleep onset. Having regular times for meals, snacks, exercise, work and socializing also helps keep our internal clock running smoothly. The ideal sleep environment is cool, dark, quiet, comfortable and safe. The bed, and ideally the bedroom, should only be used for sleep and intimacy. Sleep onset can’t be forced or controlled. Rather we relax into sleep. Help set the stage for sleep by engaging in quiet, relaxing, non-stimulating activities in the hour(s) prior to bed. As much as possible, remove all electronics (TVs, phones, computers) from the bed and bedroom. Let the mind and body “know” that bed is for sleep. Room darkening shades and ear plugs may improve sleep for those that are bothered by light or sound overnight. If worries and planning tend to interfere with your ability to fall or stay asleep, consider setting aside a time during the day, well removed from sleep, to problem solve, make to-do lists, etc. While alcoholic beverages may help you fall asleep, as alcohol is metabolized overnight, the metabolites tend to disrupt sleep. Therefore, alcohol should be avoided for several hours (ideally 4-6) before bedtime. Heavy meals before bedtime disrupt sleep by leading to acid reflux. For this reason, it is best to avoid eating a heavy meal within several hours before bedtime.